Today, Jessica Huie MBE, a successful entrepreneur who also works to improve representation and inclusion in society, has launched her first book: Purpose: Find Your Truth and Embrace Your Calling . This is the first book I’ve read from cover to cover in a long time. I promise you, it is absolutely worth the read. Even if you aren’t familiar with Jessica and her work, it doesn’t matter – you will still benefit from reading this book. You will get to know Jessica very well, as she has completely poured her heart and soul into every page. This is the story of a teenage mum who made a very conscious decision to create a better life for her and her daughter. Jessica started with very little, even living briefly in a hostel. Through hard work and determination, she built a fantastic career in the media and rose through the ranks in the glitzy world of PR. It was the passing of her much-loved father that changed everything and brought her world crashing down. It was at this point – broken open and consumed by grief – when Jessica began to question who she really was. Slowly, she learned to let go of the past and take responsibility for her life and who she wanted to be. 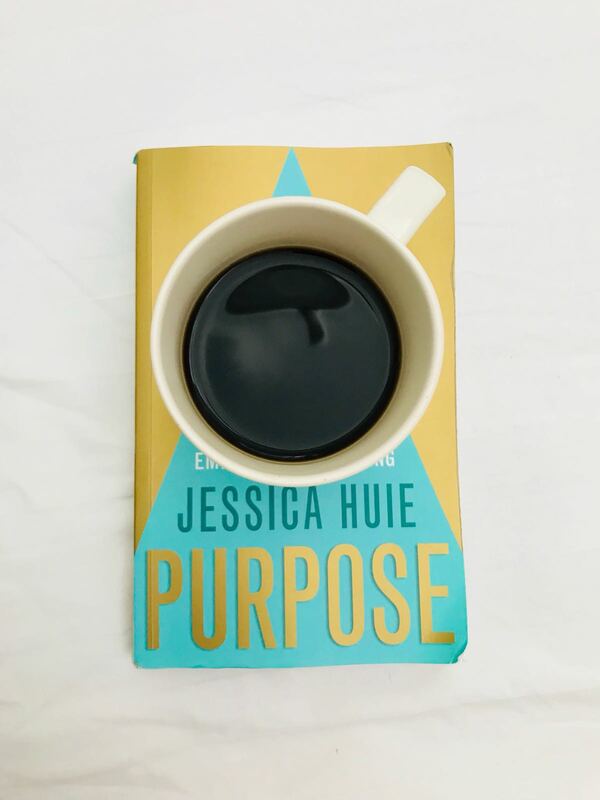 This really marked the start of Jessica’s spiritual journey, and ‘Purpose’ shares how she has finally found true joy and meaning in her life and work. If you have an open mind and an open heart, and if you have even the faintest glimmer of a feeling that there is more to life than the life that you’re living (or tolerating) right now, then you should read this book. Yes, this is Jessica’s story, but the gift of ‘Purpose’ is to inspire you. There are countless little gems in there to help you think more deeply about your own life. Are you shackled to your past? Do you blame others for your unhappiness? Do you ever take the time to quieten down the noise around you, so that you can focus on finding some peace within? What lights you up? There is a big spiritual side to this book. If your mind is closed to such possibilities, then you will need to open it just a little to let the concept of spirituality in. Personally, I have always believed in fate. I always trust that things happen because they are meant to. One of the big messages of ‘Purpose’ is that if you put your trust in the universe, then the universe will have your back. Say yes to opportunities that present themselves, and good things will happen. Give out positive vibes, and positivity will flow back into your life. Have you seen the TV series Humans? ‘Purpose’ reminds me of when the synths slowly start to wake up, one by one, and become ‘conscious’. I wholeheartedly agree with Jessica that change is coming, that we are slowly realising that we need more meaning in our lives. I see examples of this every day in my work, when I meet amazing and passionate mums who are taking the leap and starting their own businesses. A word of warning: you’ll probably shed a tear or two while reading ‘Purpose’ (I certainly did). This is testament to Jessica’s ability to share her story with such complete and raw honesty that you experience every emotion with her. If you can, please take the time to invest in you and read this book. You will gain so much from it. I soaked up every last word, and I felt so inspired after reading it. This book will make you want to be a better person and will make you realise that we can all contribute positively to society. If you do read ‘Purpose’, I’d love to hear your thoughts. Please feel free to share them below. Disclaimer: This post contains affiliate links. This means that, at no extra cost to you, I may earn a very small commission if you click on one of the links and make a purchase.